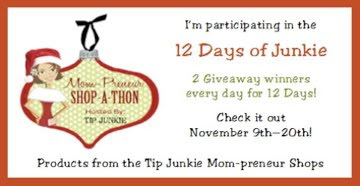 Tip Junkie.. Get on over and participate for opportunities for lots of awesome free stuff! I know ...a few days have past but there are plenty more! We have followers from all over the world! So lets mix it up a little bit and try something new this year! We will post them all for everybody to see! Hey if we get enough we can even make a recipe book out of it! Usually they are around $5 a piece and you can ALWAYS use another recipe book! To prepare crust, lightly spoon flour into dry measuring cups, and level with a knife. Combine 1/4 cup flour and water; stir with a whisk until well-blended. Combine 3/4 cup flour, 2 tablespoons sugar, and 1/8 teaspoon salt in a bowl; cut in shortening with a pastry blender or 2 knives until the mixture resembles coarse meal. Add slurry; mix with a fork until flour mixture is moist. Press mixture gently into a 4-inch circle on heavy-duty plastic wrap, and cover with additional plastic wrap. Roll dough, still covered, into a 12-inch circle. Freeze for 10 minutes. 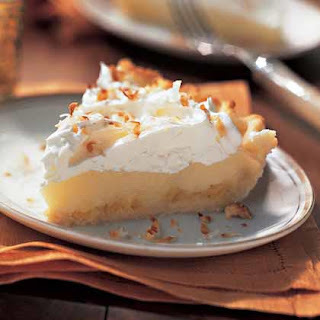 Remove 1 sheet of plastic wrap, and fit the dough into a 9-inch pie plate coated with cooking spray. Remove the top sheet of plastic wrap. Fold edges under, and flute. Line the dough with a piece of foil, and arrange pie weights or dried beans on foil. Bake at 425° for 20 minutes or until the edge is lightly browned. Remove pie weights and foil; cool crust on a wire rack. To prepare filling, drain pineapple in a colander, and spoon into the prepared crust. Combine 3/4 cup sugar, cornstarch, and 1/4 teaspoon salt in a saucepan, and stir in milk. Bring to a boil; cook for 1 minute, stirring with a whisk. Gradually add about 1/3 cup hot custard to beaten eggs; stir constantly with a whisk. Return egg mixture to pan. Cook for 2 minutes or until thick, stirring constantly. Remove mixture from heat; stir in cream of coconut and extracts. Spoon mixture into the prepared crust. Cover surface of filling with plastic wrap; chill until set (about 2 hours). Remove plastic wrap, and spread whipped topping evenly over filling. Sprinkle with coconut.